Martin Johnson Heade – The White House Art Collection. Title: Sailing off the Coast. Date: 1869. Materials: oil on canvas. Dimensions: 38.4 x 74 cm. 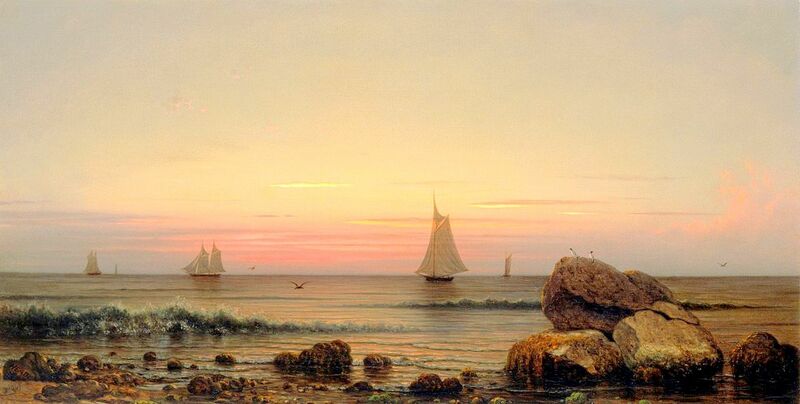 Source: https://de.wikipedia.org/wiki/Datei:Sailing_off_the_Coast_by_Martin_Johnson_Heade,_1869.jpg I have changed the light and contrast of the original photo. Martin Johnson Heade – Museo Thyssen-Bornemisza 577. TitleSinging Beach, Manchester. Date: 1862. Materials: oil on canvas. Dimensions: 63.5 x 127 cm. Acquisition date: 1919. Nr. : 577 (1985.9). Source: http://www.museothyssen.org//img/obras_grande/1985.9.jpg. I have changed the contrast of the original photo. 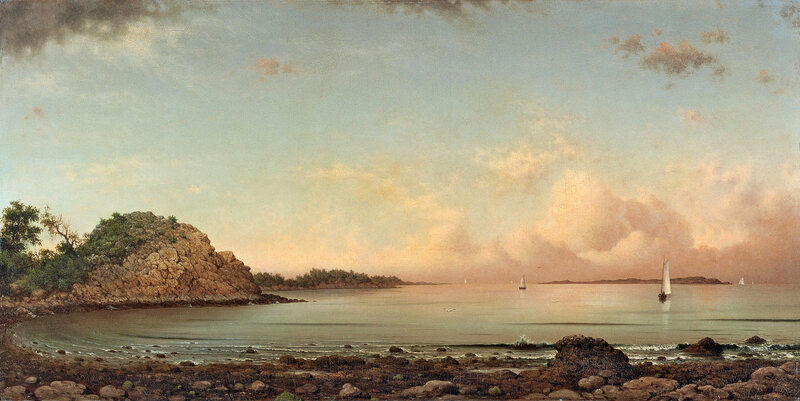 Martin Johnson Heade – Museum of Fine Arts (Boston) 64.430. Title: Lake George. Date: 1862. Materials: oil on canvas. Dimensions: 66 x 125.4 cm. 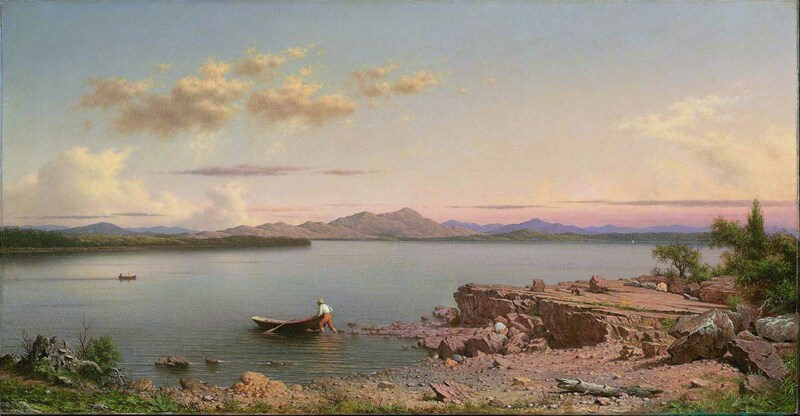 Source: http://www.mfa.org/collections/object/lake-george-33800. I have changed the light, contrast and colors of the original photo. Martin Johnson Heade – Metropolitan Museum of Art 1985.117. Title: Newburyport Meadows. Date: c. 1876-1881. Materials: oil on canvas. Dimensions: 26.7 x 55.9 cm. Inscriptions: M J Heade (lower right corner); Newburyport Meadows (on the back of stretcher). Nr. : 1985.117. Source: http://images.metmuseum.org/CRDImages/ap/original/DT2050.jpg. I have changed the light, contrast and colors of the original photo.